Some people may think that the Chao Phraya River is just another river, but it is actually much more than that. The Chao Phraya River played a significant role in the history and development of Thailand and is an integrated part of Bangkok’s transportation system today. 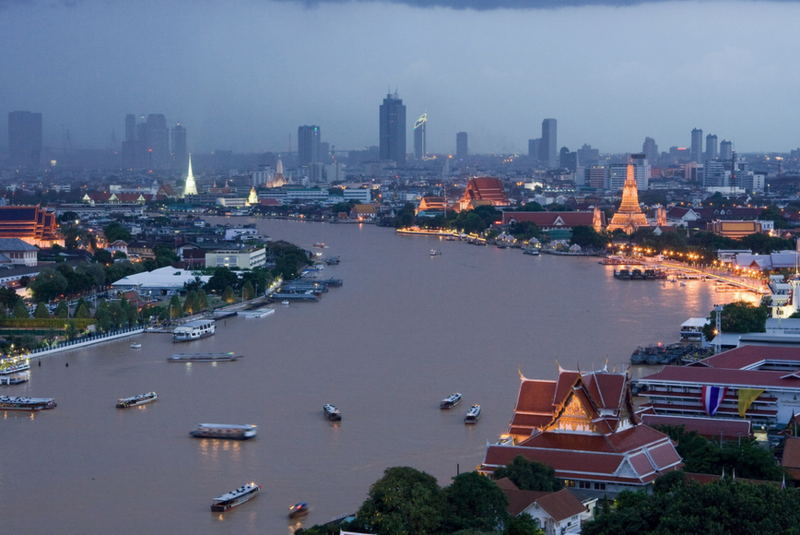 The Chao Phraya River is the major river in Thailand that flows through Bangkok and ends at the Gulf of Thailand. The original capital of Ayutthaya was located north of present day Bangkok, in a valley of the Chao Phraya River. After the city was destroyed, the new capital was built on the west bank of the Chao Phraya before finally being moved to the east bank of the Chao Phraya River, in the center of present day Bangkok. Even today, much of the city’s transportation and attractions are still centered around the Chao Phraya River. The Chao Phraya River Express operates a number of boats that travel up and down the Chao Phraya River carrying passengers to various destinations. The northern most stop is at Pak Kret and the southern most stop is at Rat Burana. The fares for using the boats varies, but typically is between 10-15 Baht. Longer journeys during peak hours can be more. Most of the boats start running around 6AM and will run until about 7 PM. Here is the most up to date information on the scheduled times for the Chao Praya Express Boats. Here is a map showing all the stops for the Chao Praya Express Boats. This next link shows the fares for the Chao Praya Express Boats. Here is a map showing the different stops for each boat. There is also the Chao Phraya Tourist Boat that sells one way tickets for 40 Baht and day passes for 150 Baht. The Chao Phraya Tourist Boat focuses on the major tourist attractions like The Grand Palace and The Temple of The Emerald Buddha. The Chao Phraya Tourist Boats start running around 9AM and continue until about 5PM. Here is the most up to date information on the scheduled times of the Chao Phraya Tourist Boat. Here is a map showing all the stops of the Chao Phraya Tourist Boat. This next link shows the fare for the Chao Phraya Tourist Boat. The Chao Phraya Tourist Boat was created as an easy way for tourists to be able to visit many tourist attractions without having to worry about buying boat tickets or getting lost. 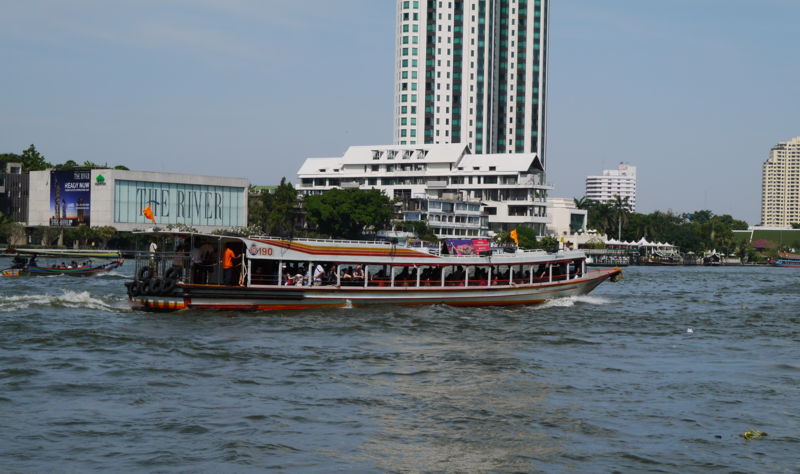 The Chao Phraya Tourist Boat starts at the Sathorn Pier, which connects with the BTS Skytrain at the Saphan Taksin Station, and travels all the way north up until the Phra Arthit Pier. For travelers who did not book any Thailand tours or prefer self guided tours, the Chao Phraya Tourist Boat is a great place to start. Alternatively, if you feel more comfortable with a tour, you can try the Chao Praya River Dinner Cruise Tour. Here is a link for a great Chao Praya River Dinner Cruise. Here is the website for the Chao Phraya River Express.